Every month, we take a look at a word in the headlines, in English, for your English. See more at The Word of the Month. Dog Days (idiom): The hottest period of the year, occurring in July and August (N.hemisphere). Also: A period of lethargy and laziness, as you may have experienced this summer. Sirius is a star in the constellation Canis Major — the big dog. In August, Sirius shines bright. 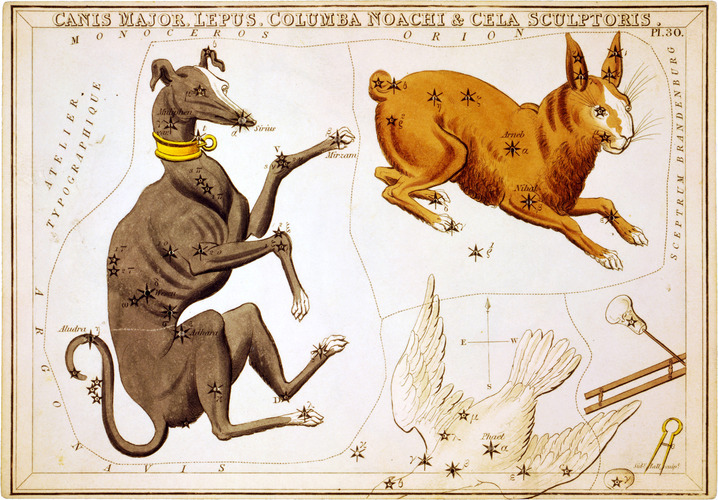 The Romans thought Sirius caused the summer heat, hence the term Dog Days (and Canicule too). Snoopy: Best friend is a canary. Has a house, yet sleeps on roof. Likely on drugs. Snowy (aka Milou): White dog of white journalist Tintin. Probably racist. Lassie: Genius-level canine. Once split an atom. Still pees on the rug occasionally. Dog-eat-dog world: a competitive world, where dogs eat other dogs. My dog eats tennis balls. Work like a dog: to work very hard. My dog sleeps and eats all day. Exhausting. Every dog has its day: everyone has a lucky moment. Dogs, this is your day! Take a look through our Word of the Month archives, or improve your English with gymglish.com and richmorning.com.